MCP Enlighten™ includes 200 photographer-tested Lightroom presets divided into four easy-to-use steps and a set of 30 brush presets to take care of all the little tweaks you never knew you could do in Lightroom. MCP Enlighten™ Presets will help you process your photos with a flexibility you’ve never experienced in Lightroom before. Our unique system allows you to stack our presets, so you can combine and layer them to create the look you want. No more bouncing between software programs — now you can fix, tone, and polish your photos without ever leaving Lightroom. MCP Enlighten™ uses the newest technology to give you professional, polished results. With a click of the mouse, you can adjust exposure, add lighting effects, and apply your signature style by adding haze, matte, or fun overlays. You’ll also find a wide range of black and white looks, from dreamy matte B&Ws to clean, high-contrast conversions. Simply scroll to find the one that suits your image best, and get perfect images every time. MCP Enlighten presets are organized in an intuitive folder system, to make it easy to find the right preset — you can even save your favorite combinations for one-click access in the future. Each step of your workflow contains a custom “reset” preset, which allows you to undo that specific step without starting over. And you can use the presets in just about any order. Did we mention flexibility like you’ve never experienced before? MCP Enlighten™ also includes 30 brush presets. Learn how to use your adjustment brush to take care of all the little tweaks you never knew you could do in Lightroom. Soften skin. Remove redness. Sharpen eyes. Add some sun flare. Dodge and burn. Make colors pop. Step 1: Prep your photo. This folder contains 30 presets to let you quickly fix white balance, correct color casts, and adjust exposure by up to two stops in either direction. Step 2: Style your photo. This folder contains 32 color and B&W presets to define the feel of your image. Whatever your personal style is — calm, hazy, matte, grunge, clean, vibrant, deep – we’ve got you covered, along with a one-click lens correction option. Step 3: Enhance your photo. Here’s where the fun really begins — these presets will punch up your photos in an instant. 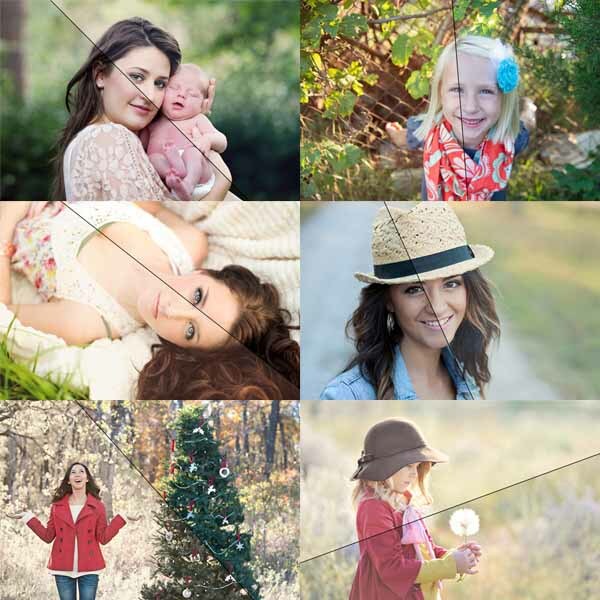 You’ll find 25 color overlays to add a unique tone to your images. And our 36 Color Tweaks allow you to pop, deepen, shift, or decrease any of six colors. Step 4: Complete your photo. Fix blown highlights, adjust the shadows, boost midtones, add contrast, reduce noise, darken the edges, and sharpen. These 42 presets add the finishing touches that make your photos stand out. Save a Fave: These hidden gems are stored in the Step 4 folder. Once you find a series of steps you love, save the combination here to use again and again with just one click. Enlighten Brushes: Paint these 30 presets on any part of the image, and adjust their intensity in a snap. You’ll be able to brighten shadows, whiten teeth, pop colors, enhance a blue sky, add depth, sharpen details and so much more! 42 Complete the Look presets and resets, including: highlight protection, midtone brightening and darkening, shadow brightening and darkening, contrast, clearness, noise reduction, sharpening and edge darkening – all with varying intensities. Plus get 5 Save a Favs to save your favorite recipes. Enlighten Brushes: Paint these 30 presets on any part of the image, and adjust their intensity in a snap. You’ll be able to brighten shadows, whiten teeth, pop colors, enhance a blue sky, add depth, add sunlight, sharpen details and so much more! MCP Enlighten Presets will change the way you use Lightroom. Use the steps in any order you want. Stack them. Experiment. Have fun. Find your style. And with all the time you save, you might even find some extra hours in your day. 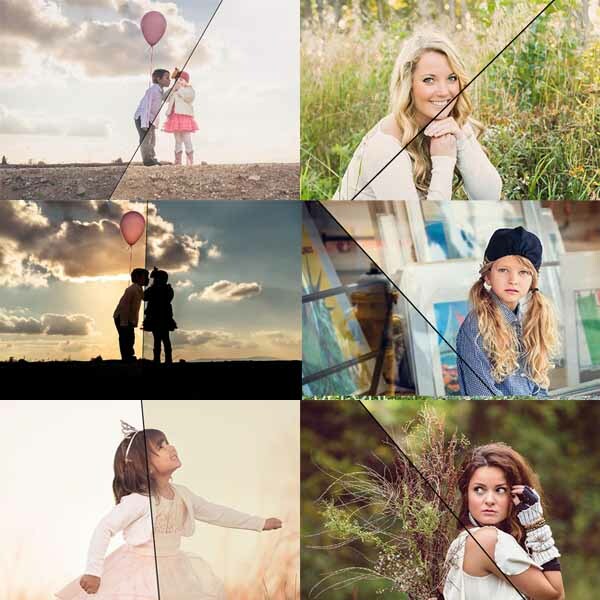 We recommend pairing Enlighten with the Illuminate Presets – to Infuse light into your images. Check these out to get an even more polished look! These presets will work in any of the Lightroom versions listed above. Please make sure that you have the required software before purchasing. We make every attempt to ensure that our products work in future versions of Lightroom, but due to possible changes Adobe may implement, we cannot guarantee future compatibility. Best presets available. So much control. Most customizable set of presets! Gives you control over your images. I’m an amateur photographer, still learning how to “get it right in camera,” so I often rely on LR to help me clean up my work. These presets provide consistent results every time I use them and they have revolutionized my workflow and my photography! The system is easy to install, easy to use, and downright enjoyable to play with. The brush presets are a dream come true! I usually avoided the brush tool in LR (because I’d always over-do it! ), but this system is truly customizable and user-friendly. They allow for very-fine adjustments to so many aspects of the photo. You will want to spend your entire workflow in LR once you start using these presets – and you’ll be surprised and pleased at the amazing images you’re able to turn out. And even though the description indicates that you’re getting around 200 presets, you’re actually getting MANY more – once you start mixing and matching and adding brush treatments. Love these presets! Thanks again for taking the time to make them so wonderful and useful! Amazing and so easy to use! If I could only have one MCP product this would be the one. Amazing set – speeds up workflow at ton! Have to share, this is a system that WORKS! I bought the enlighten MCP presets a few months ago as a final attempt on finding presets that could work for me. Let me tell you, I am one happy photographer. These presets and the workflow are perfect for me and I now save sooo much time by just being able to work in Lightroom! I am a wedding and portrait photographer and I was looking for a system in Lightroom that would give me the results I wanted and help me speed things up. All the presets I have bought in the past didn’t work, I’d buy a a pack and maybe get use out of a couple of presets, and not dependably. The effects were too strong for my taste and didn’t lend themselves to different kinds of lighting. Before MCP I would run through my images in Lightroom to make minor corrections and then load in Photoshop to do all creative editing and skin touch ups. Weddings literally took forever to finish. I love the Enlighten presets! With Enlighten you have a complete workflow that is simple and fast to use from start to finish. The brushes are amazing and user friendly. Enlighten has 4 simple steps. First prep your photos white balance and lighting. Next, style your photo with options such as haze, matte blend, or b/w. Then have fun with enhancing your image with an awesome overlay (l love chamomile) and in this step you can tweak your individual colors by increasing or decreasing the intensity. Last, complete your photo by adjusting shadows, tones, and contrast. Here you can also adjust noise or sharpen. Plus so much more.